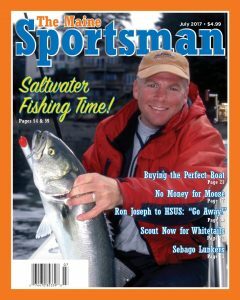 July offers prime saltwater angling along Maine’s coast, and this month’s issue of The Maine Sportsman magazine pays tribute to “big fish” fishing, starting with the excellent cover photo by our monthly “Saltwater” columnist Barry Gibson, of a fisherman and his hefty bluefish that got fooled by a surface plug. The July issue has plenty of special sections, including Benny Holloway’s “Deciding on the Perfect Power Boat” (page 21), in which he covers keel boats, pontoon boats, fish-and-ski craft and the old Maine standby – aluminum hull lake boats. JP Falzone describes the content of the ATV safety course required of all young riders in Maine, and Ron Joseph weighs in with a thoughtful piece about the dangers of letting out-of-staters make the rules for bear hunting and trapping in Maine. 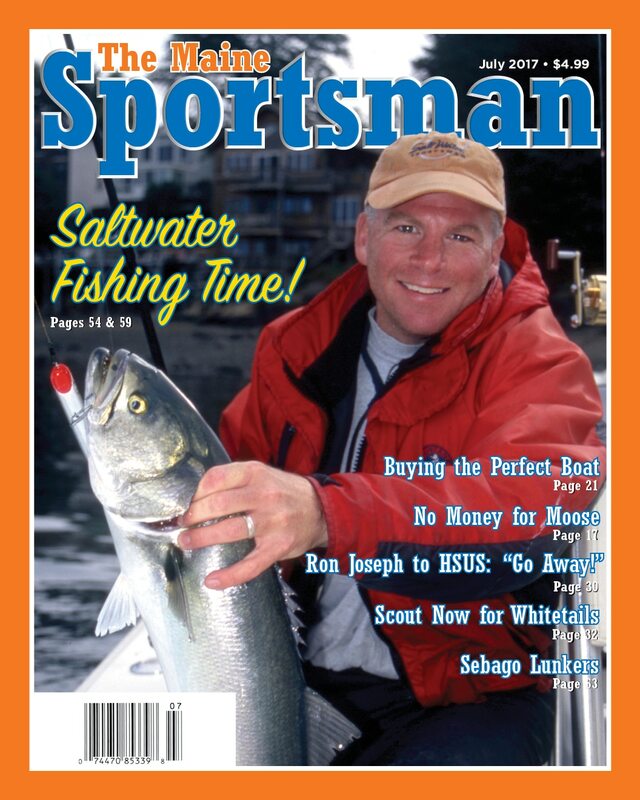 As long as readers keep writing letters to the editor, we’ll keep printing them, and the July issue contains nine more gems – from impressions on migrating salmon to clumsy hunting dogs, and expensive marina fuel to big turkeys and big fish – we appreciate the feedback, and we hope you enjoy seeing your letters and photos each month. The Legislature’s in the news – both in this month’s editorial (discussing the new law that will let Amish hunters wear bright red rather than hunter orange, because their religion prohibits attention-getting garb), and also in George Smith’s “Capitol Report,” in which he bemoans the lack of funding dedicated to moose research. And speaking of moose, Chris Johnson’s “Bowhunting” column unveils an option for those of you who were not selected in Maine’s moose lottery – head to Canada, where you can obtain your moose license for cash, without having to win a game of chance. It’s difficult, remote hunting, according to Chris, but well worth the effort. 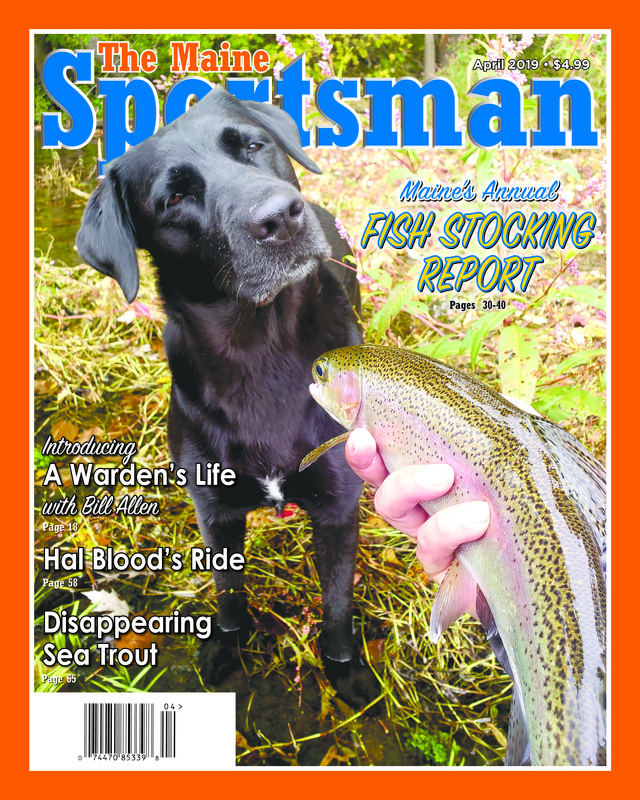 William Clunie helps readers select the right truck camper in this month’s “Off-Road Traveler,” while Bill Graves proves with text and photos again this month why Aroostook County is also called “The Crown of Maine,” especially when it comes to stream fishing for brook trout. In a humorous “Katahdin Country,” Bill Sheldon reveals the backpacking secret to trying out a new lightweight coffee maker – namely, don’t leave the coffee at home! And freshwater fishermen will enjoy Clunie’s piece on fly-fishing for smallmouth bass (page 56), as well as Tom Seymour’s column on how to catch – and fry up for dinner – another invasive species that’s gaining some fans; namely, black crappie. 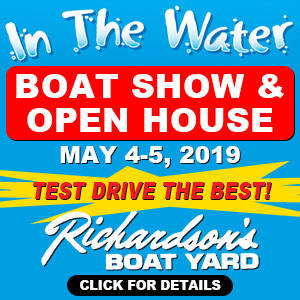 As always, thanks to our great advertisers – including LL Bean, L.L. Cote (Errol, NH), the businesses in the Western Maine Mountains, Don Foshay’s ever-growing chain of full service tire and vehicle repair shops, Audette’s in Winthrop, Varney’s in Richmond, the Tackle Shop in Portland and many, many more – our loyal readers will continue to support your businesses, just as your advertising helps bring our publication by the thousands into homes and onto newsstands each month. Got something to say? Write a letter to the editor (and send photos, if you have them) to our editor at Will@MaineSportsman.com. Give us a call at 207-622-4242 – talk with Linda or Chris in the office. 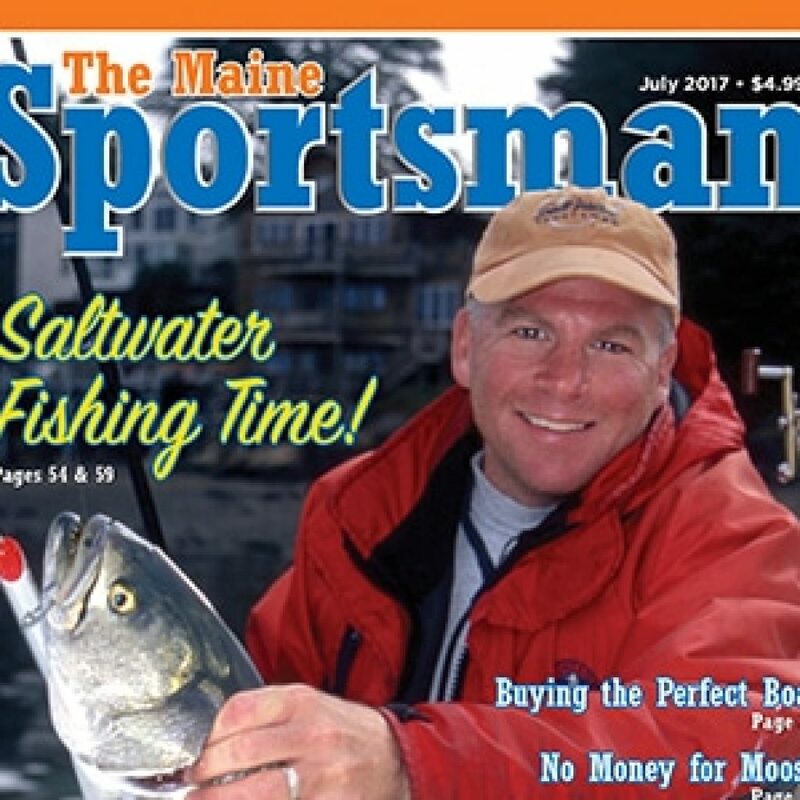 Subscribe or renew your subscription, either on the phone or using our new “Subscribe” link at our website, www.MaineSportsman.com. Keep in touch as a Facebook friend. And thanks again to our informed readers, our many distribution outlets and our loyal advertisers.